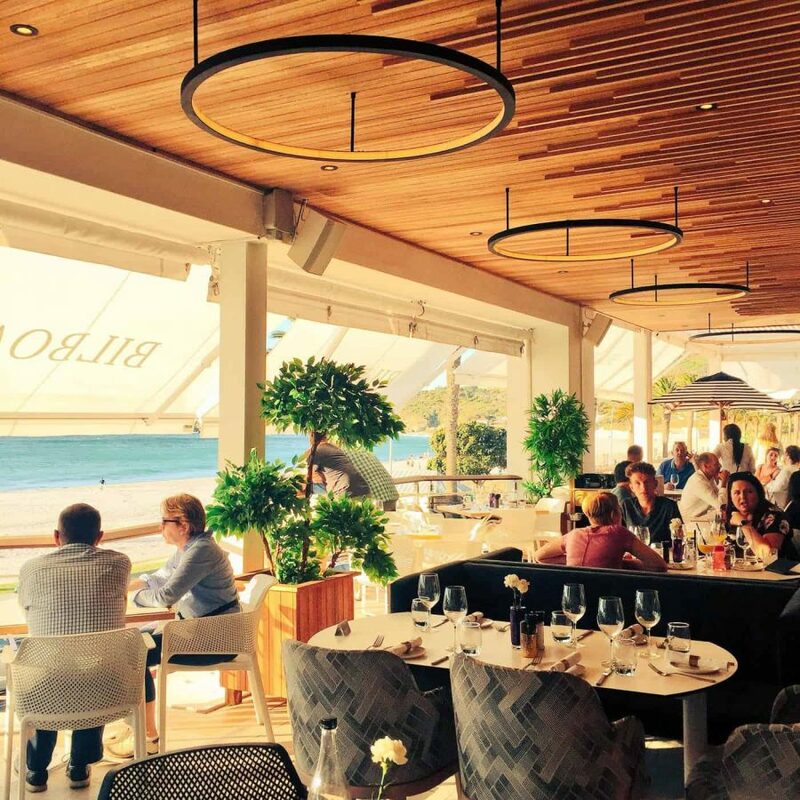 We had the privilege of visiting Bilboa Restaurant in Camps Bay, to wind down and end the weekend off on a high note. It’s part of the Kove group, so you know it’s going to be excellent! Watching the sunset while sipping on cocktails, in a very contemporary-chic styled restaurant, while listening to some chilled tunes, along with a great energetic welcoming vibe from the waitrons – we felt very at home and relaxed, to say the least! 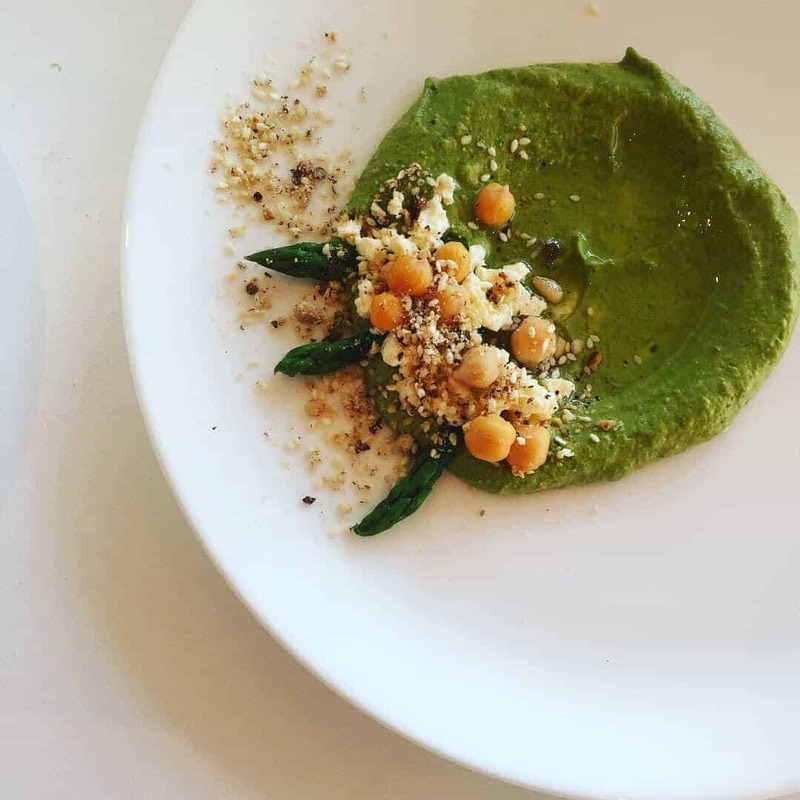 The asparagus hummus served with warmed flatbread was really delicious – although I couldn’t taste too much of the asparagus, the natural colour was sufficient for me! We particularly enjoyed the starter prawns we ordered – with preserved lemon and chilli pepper. 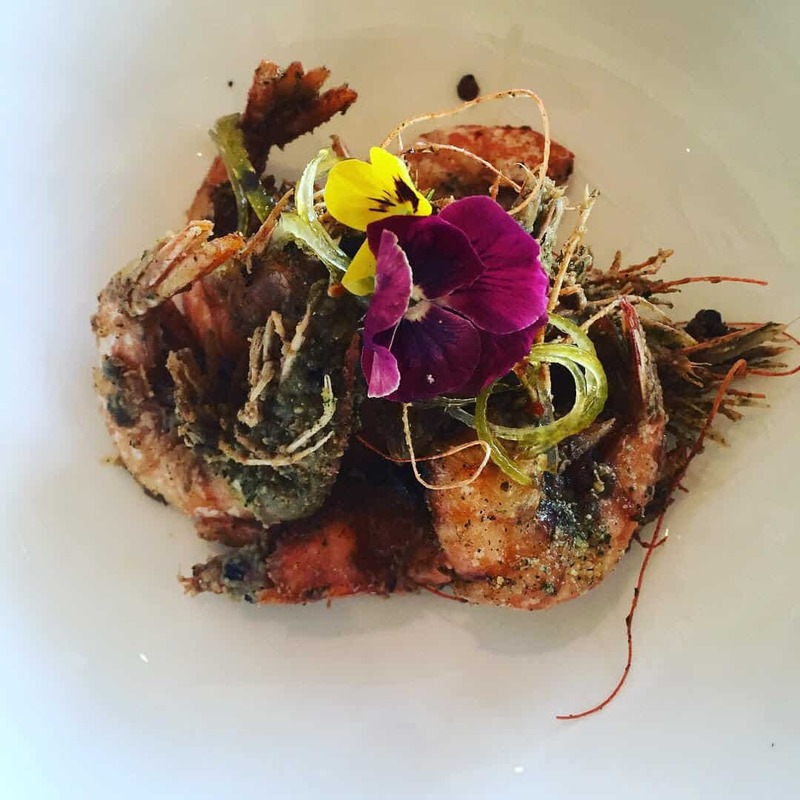 We were surprised to taste honey in this dish but it really made it different to most prawn dishes. We are huge halloumi fans so had to try it! 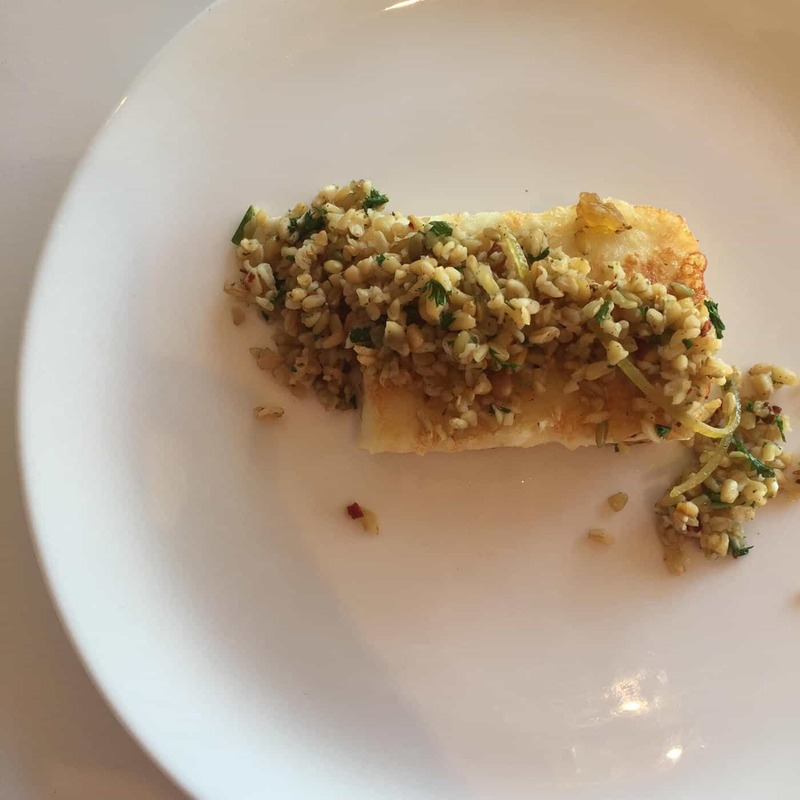 They served it with freekeh (a cereal food made from unripened durum wheat that has been roasted and crushed into small pieces), chilli, mint, sumac, dukkah and lemon. This dish tasted much more neutral than I expected but was great as an additional starter mixed with the others. For mains we had their trout with spiced cous cous – which was really phenomenal, cooked to perfection and a nice light meal. We also had their lamb ribs with sticky peach glaze, which my husband loved, but I found a little too fatty. The staff are well-informed, friendly, efficient and their uniforms are neat! The manager – André – was really on the ball, involved and helpful which was great to observe too. I think overall it really is a stunning restaurant that you can sit back and relax completely while enjoying all that their menu offers. It’s not somewhere I would go if I was wanting a quick bite or drink, so definitely more for a leisurely occasion to get the most out of it.